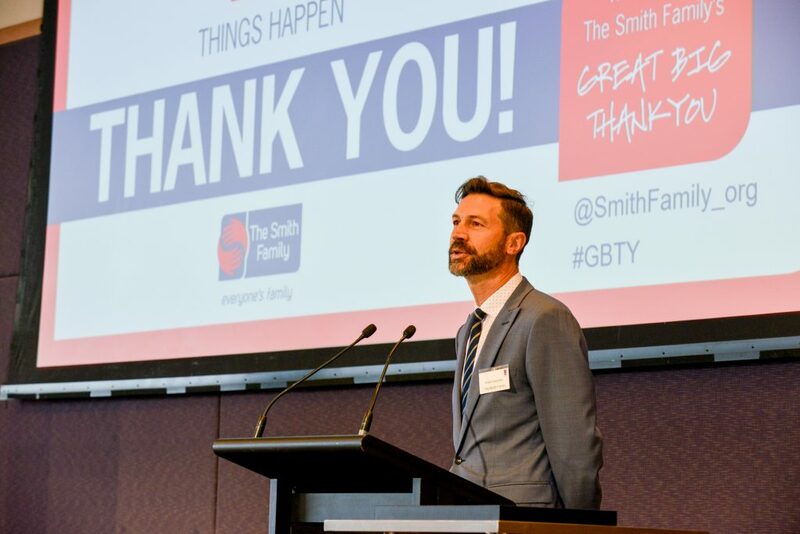 On 24 October 2018, ECOTECH was invited to attend The Smith Family’s annual “Great Big Thank You” with key supporters from around Victoria. ECOTECH announced a major partnership with The Smith Family earlier this year. Stirring speeches by Anton Leschen, General Manager of The Smith Family in Victoria, and Dr Lisa O’ Brien, CEO of The Smith Family, inspired the crowd with stories of success, hope and resilience from students on their flagship Learning for Life program. This program helps young Australians in need to participate more fully in their education through a three-step approach. Financial, practical and emotional support assists their educational journey throughout their school years. This innovative, evidence-based approach is improving the attendance and attainment rates for disadvantaged children at school, and in addition, is enabling them to be engaged in higher education studies or work after leaving the program. The event was hosted by one of The Smith Family’s Learning for Life students, a debating champion at university, who espoused the benefits of being on the program since she was in primary school. Talented students on The Smith Family’s program were central to the event. There was also an uplifting jazz performance by music student Olivia, who credits The Smith Family with assisting her to continue her musical journey at Monash University. 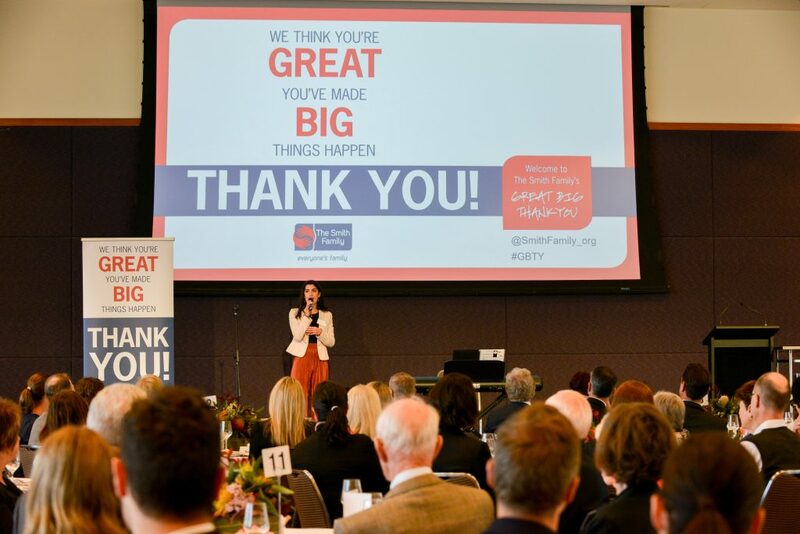 An interview with another major partner of The Smith Family, Officeworks, demonstrated how businesses could assist in more ways than just financial, such as mentoring, work experience and in-kind donations. ECOTECH have participated in multiple volunteer days with The Smith Family throughout 2018, including writing Christmas cards, reviewing student profiles and more. This gives ECOTECH volunteers a clearer picture of what students go through in their day-to-day lives, and the work The Smith Family does to support children and young people in need through their educational journey. “Like The Smith Family, we too believe that every student should have access to education, no matter their circumstances,” said Nicholas Dal Sasso, ECOTECH Managing Director. “The gap in achievement and educational outcomes between kids in our most disadvantaged communities compared to their better-off peers is getting wider,” says Dr Lisa O’ Brien, CEO of The Smith Family, “these kids are doing it tough, and they really need our help,” she added. To learn more about The Smith Family and how you too can sponsor young Australians in need, please visit www.thesmithfamily.com.au. Christmas is also fast approaching, and The Smith Family’s Toy and Book Appeal is already in full swing. Learn how you can help bring a smile to a disadvantaged child’s face this Christmas here.